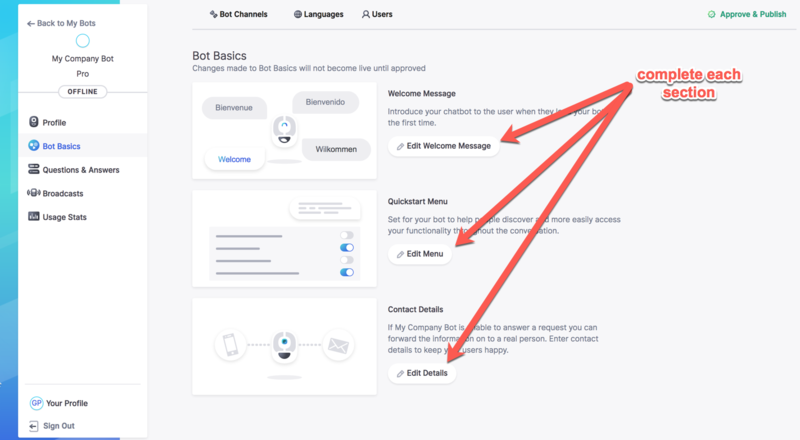 The first step to configuring your bot is filling in your bot profile. 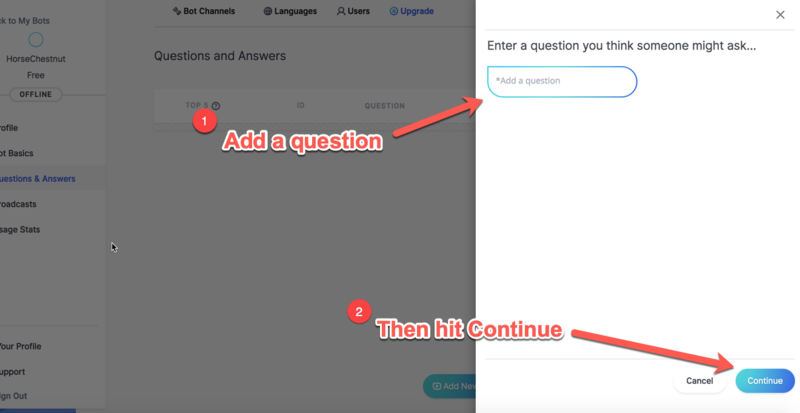 This begins by choosing your bot’s names: firstly its display name (as appears on Facebook messenger or slack, etc.) and then its invocation name (that is used to interact with your bot verbally via Amazon’s Alexa, or Google Home, etc.). 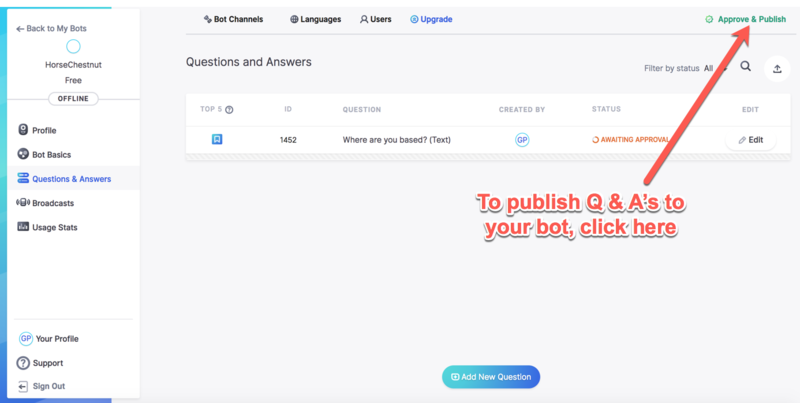 You then choose your bot’s sector and website details, this information is used for tagging and searchability across the bot channels and will also benchmark your bot against the market for improved analytics and insights. 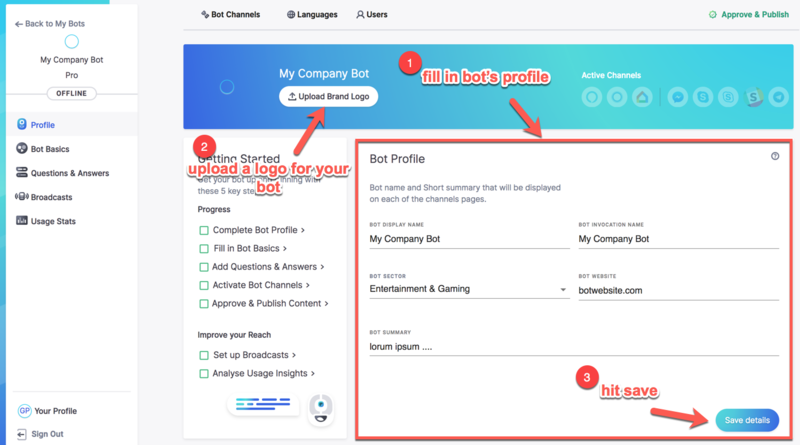 Finally, you give a short description of what your bot does which users will see when they view your bot via the many channels we offer. 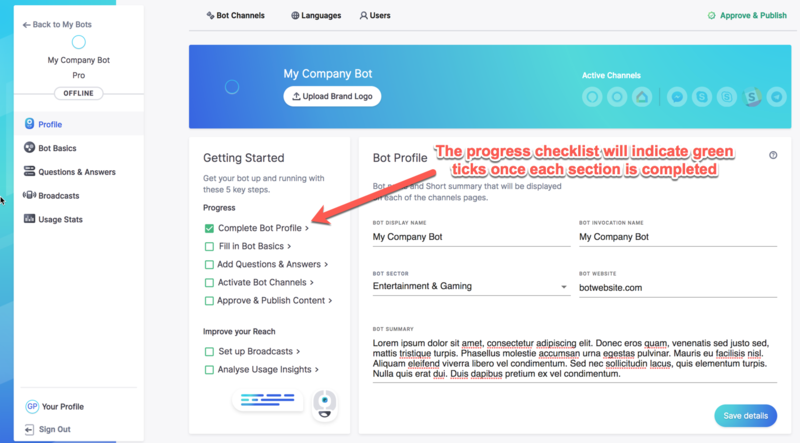 Simply select what channels you’d like your bot to operate on. There are currently 8 channels to choose from (5 text and 3 voice). 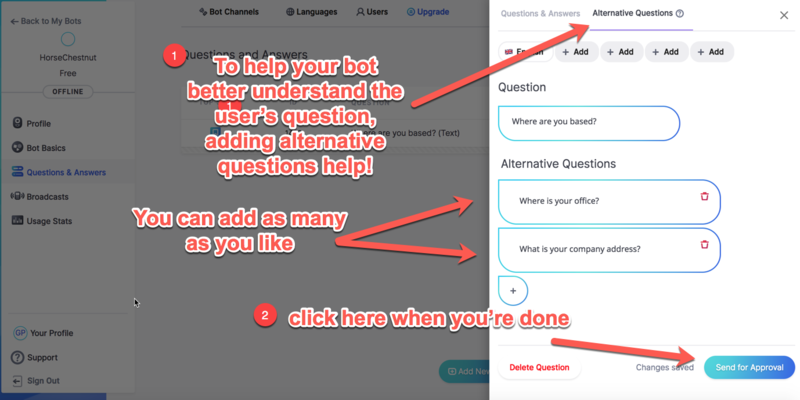 Bot Publishers and Company Administrators can approve or reject changes to the Bot Basics, Questions & Answers and Broadcasts. Depending on what you’re approving, different information is shown on this page e.g. for Broadcast you’ll see the Broadcast dates and for Q&A you’ll see the question. You can select single or multiple items and click the publish button to action your changes. Published items have their status changed and will be sent for publishing or broadcast. Rejected items are returned to the relevant list as a draft. Voila, your bot is ready for deployment!